PITTSBURGH — Picklesburgh has been named the best specialty food festival in America by USA Today. The nationwide contest was a part of the reader’s choice Best Specialty Food Festival in America. Pittsburgh went up against cities such as Houston, Miami, Louisville and Baltimore. “Thank you so much to the thousands of Pittsburghers who feel passionately about Picklesburgh and brought home another win for the City of Champions,” said Jeremy Waldrup, president and CEO of the Pittsburgh Downtown Partnership. Picklesburgh began in 2015 and is a three-day event held in Downtown Pittsburgh. It is hosted by Pittsburgh Downtown Partnership and sponsored by Heinz. Many unique dishes are offered. There is even the infamous pickle-juice drinking contest. Pickelsburgh has received attention from all over the world. In the United States, Picklesburgh has been featured on the Today Show, Good Morning America, Fox News, Washington Post, Boston Globe, Travel+Leisure and many others. In 2018, Picklesburgh got coverage in a UK foodie magazine regarding food festivals. 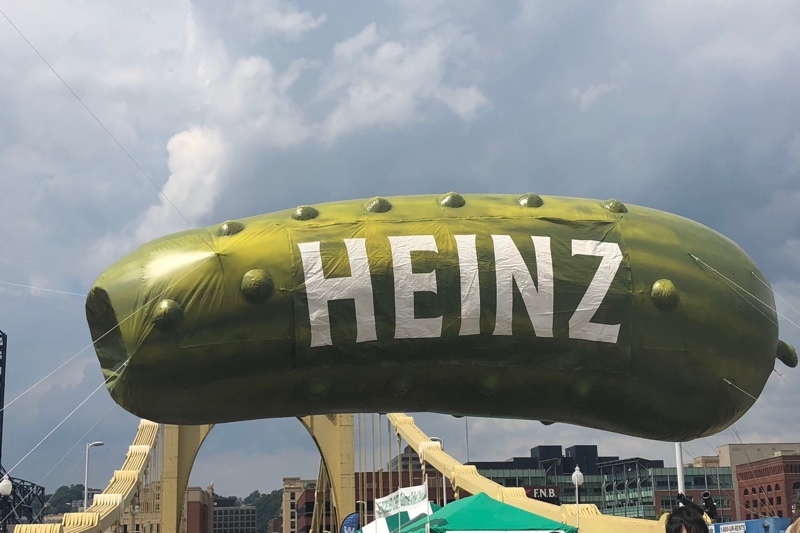 “We see Picklesburgh as a signature event for the state of Pennsylvania,” says Carrie Lepore, deputy secretary of the state’s office of marketing, tourism and film. Even government officials are showing their appreciation for the popular food festival. The award-winning festival will return in late July.